Established in 1995, Julien Engineering & Consulting, Inc. includes a team of experienced civil and structural engineering professionals who offer expertise to practically any building or site project. We have a proven track record in both public and private developments, and our qualified team has successfully designed, planned and managed the construction process for many projects all resulting in reliable designs that are as soundly engineered. Our mission is based on providing design and engineering solutions that enhance the quality of life. Through our methodical yet creative approach, Julien Engineering & Consulting, Inc. seeks to balance aesthetic considerations with useful function to meet and surpass the objectives of our clients which include agencies, organizations, and individuals. Our engineers and contract administrators apply practical and inventive expertise to effectively and handily manage any challenge or demand that may arise. Julien Engineering & Consulting, Inc. provides expert engineering analyses, assessments, and opinions for assistance in dispute resolution for defendants and plaintiffs. For claims and suits, we review recorded documentation, perform physical investigations, evaluate investigate engineering aspects, perform code review, and develop detailed reports and estimates. We have a very successful track record of being on the winning side of arguments by employing supportable technical conclusions. 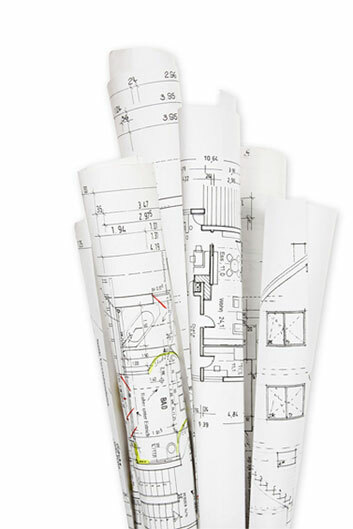 We cover everything, from needs assessment and site analysis; to design and construction administration. Julien Engineering & Consulting, Inc. has a proven track record for developing customized strategies through our active collaboration with clients. We take great pride in the project we undertake and remain dedicated to maintaining the highest of standards in the industry. Our engineers are smart. They know how to work efficiently and effectively. They also recognize the difference between the two. Effective work means doing the job correctly. Efficient work means accomplishing the task on time. Our engineers do both! They are also able to speed up productivity levels because they understand cost limitations and code requirements. You’ll save a lot of time by using our services. We only hire the most experienced workers and so should you. Our engineers can foresee potential complications and create quick and effective solutions. Whether it be a design issue, contractor error, or unforeseen condition, they will prevent possible problems that others may overlook. Engineering is not just about drawing and detailing. A lot of work goes into assessing, creating, and designing. Our specialists take care of all the minor details that some may forget, that is until one pops out of nowhere and wreaks havoc on your project. Julien Engineering & Consulting, Inc. also provides services for the preservation and restoration of buildings, as well as engineering consultation for the reconstruction of collapsed and deteriorated buildings. We are committed to offering our clients only the most exceptional services, throughout the construction process. We ensure that the goals and creative input of our customers are fully realized. We settle for nothing less than absolute customer satisfaction. Contact us to discuss your ideas for your next building project.